Come discover your unique abilities! 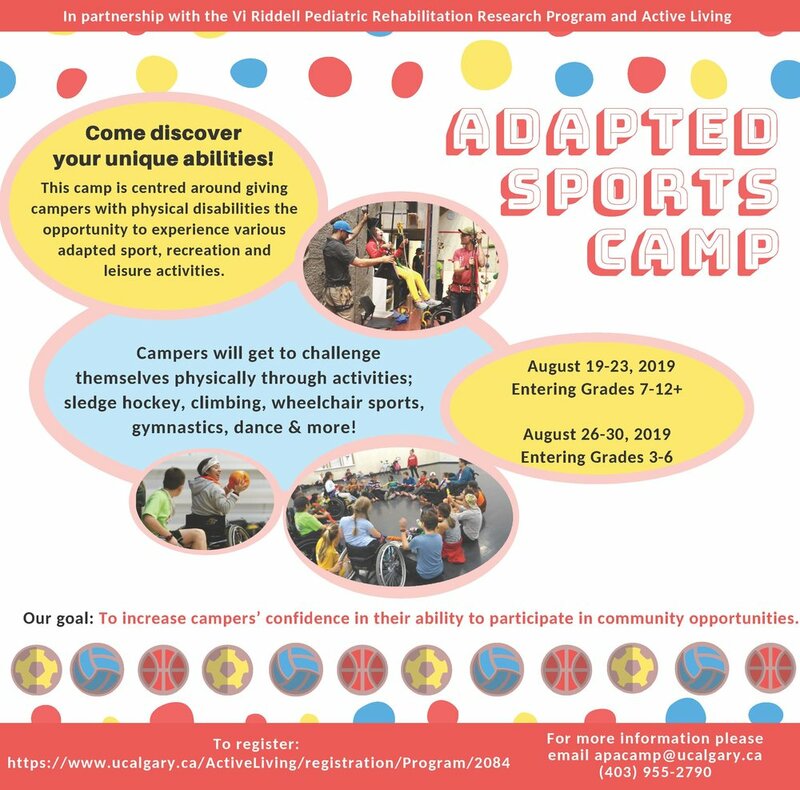 This camp is centred around giving campers with physical disabilities the opportunity to experience various adapted sport, recreation and leisure activities.Campers will get to challenge themselves physically through activities; sledge hockey, climbing, wheelchair sports, gymnastics, dance & more! To increase campers’ confidence in their ability to participate in community opportunities.